Your match becomes the image as edited by the Professional. 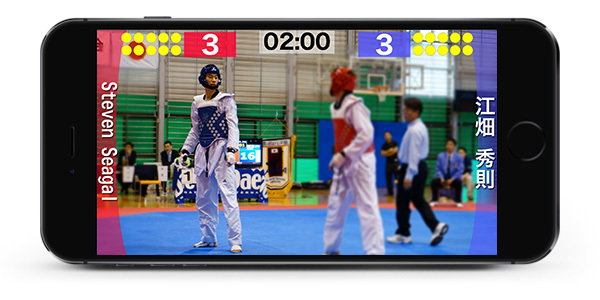 You can show the score display in Taekwondo game videos taken with iPhone. 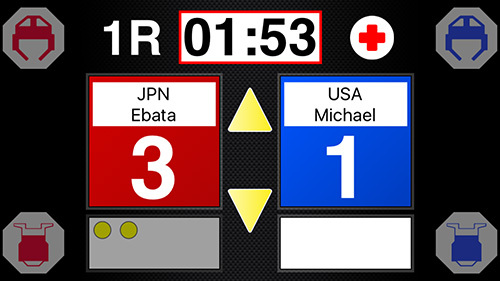 And also you can easily add the score display, such as professionally edited. 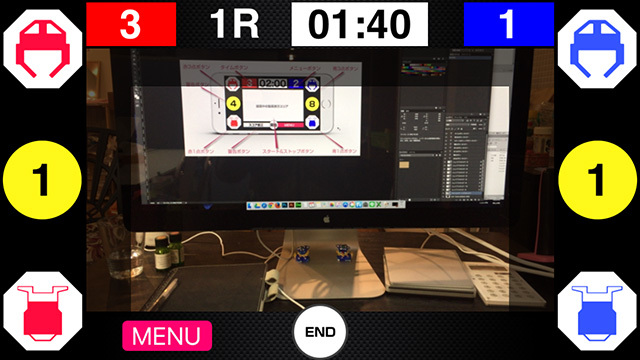 This mode adds the score in real-time while shooting the video. The score show the added video, after shooting. 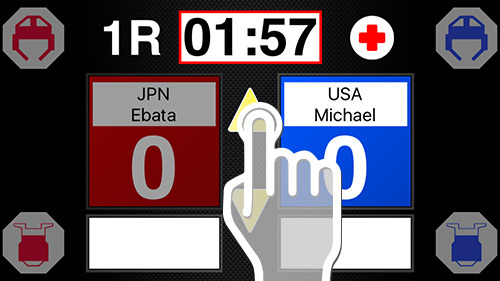 This mode adds the score to already taken video files. 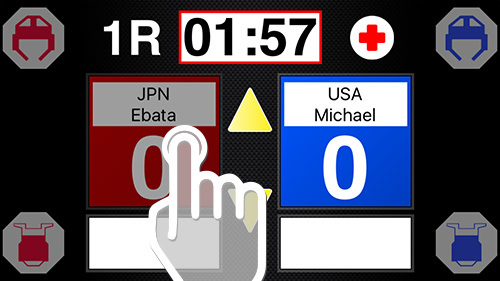 You are able to add the score such as videos taken in the past too. 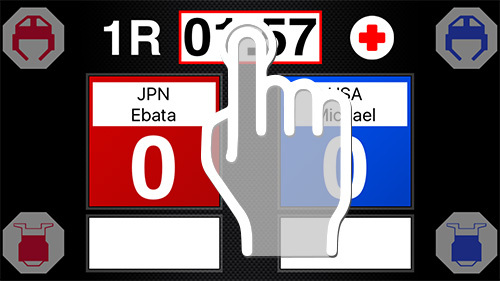 This mode displays the score. It can also be used in usual practice or game. First of all, you will do the basic settings. This is the item that you can intuitively understand even in taekwondo beginners. 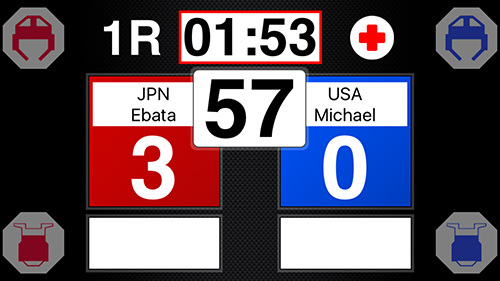 The end of the match in this score difference. 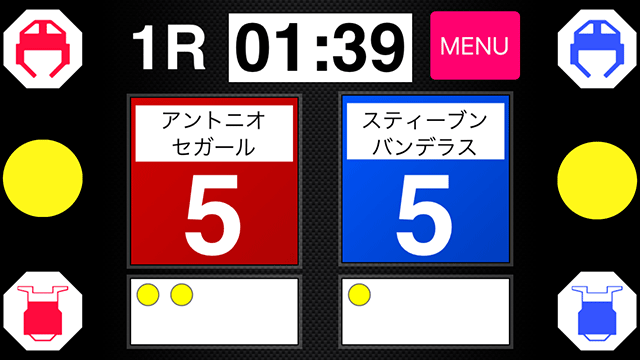 Enter the name of the red players. Enter the name of the blue players. 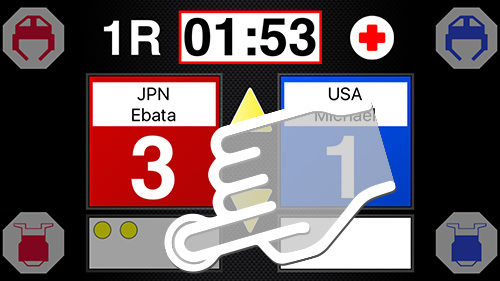 This mode adds the score while reflecting the game from now or past games in the center of the video display area. 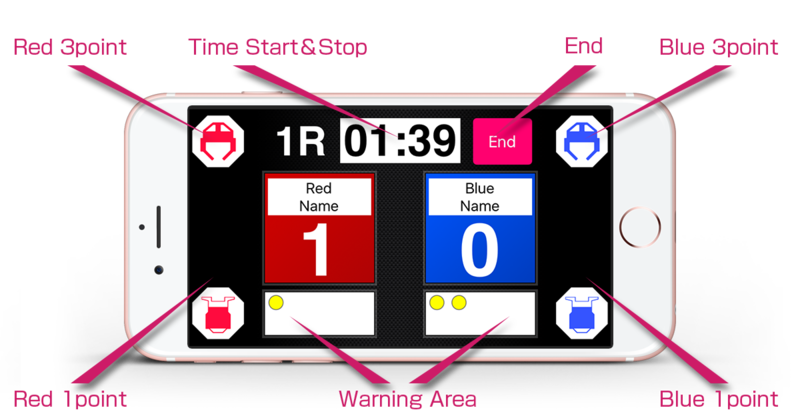 Reborn in the score display, such as if your game is like TV broadcasting. 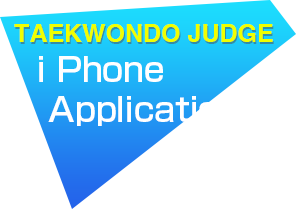 This is movie that was actually taken by this app “TAEKWONDO JUDGE”. Would you like to practice with the same tension as the match? 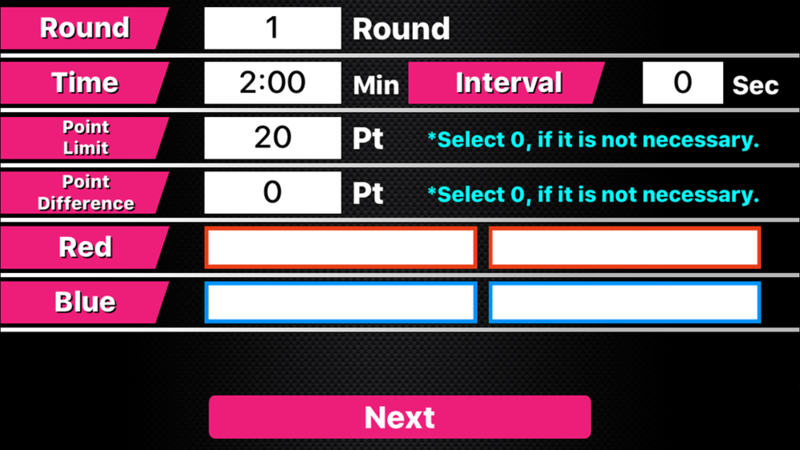 This mode is specific to the display of the score. 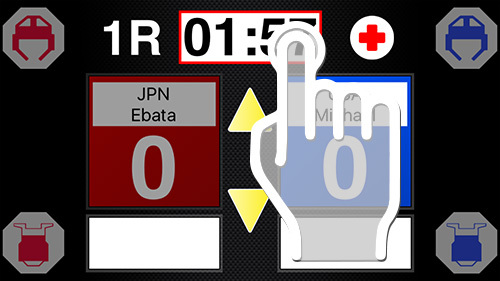 You will be able to easily close to the practice, like the real-game by also go adding points. 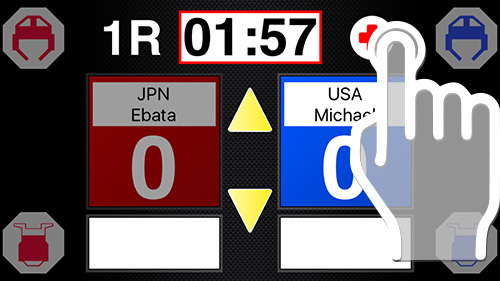 4 steps if there is a modification of the score on the middle of the match. Add the kyongo by the up and down the arrow mark.Twice tap in the case of kamuchon. 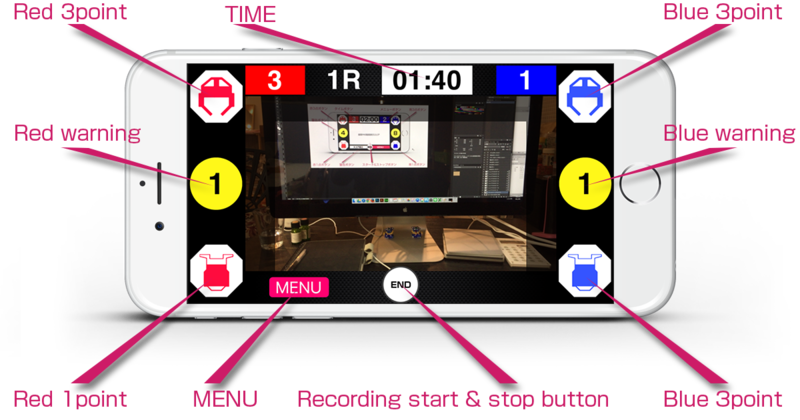 You’re able to practice taekwondo with full-fledged display in a big screen by connecting to the monitor, such as a television with genuine Apple “Apple Lightning-Digital AV adapter”, and general “HDMIcable”. 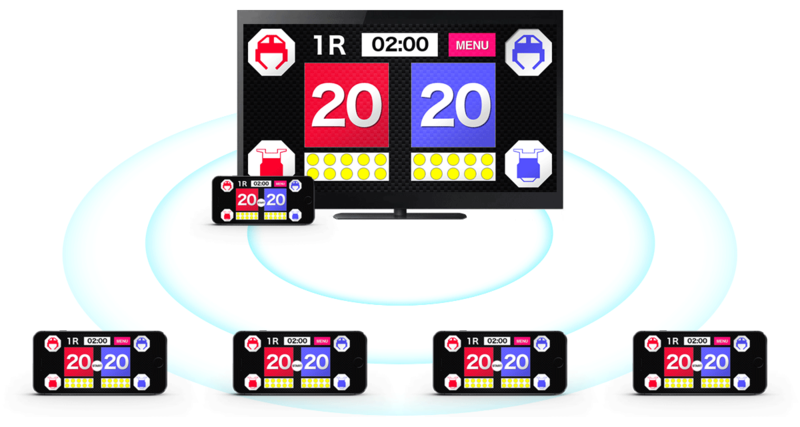 Up to five are links connected by wifi or Bluetooth, you’ll be possible to practice Taekwondo with the feeling of real game by outputting a single operator device for a big screen.